Pavlenko Legal Group is a law company founded in 2008 by the famous attorney at law Oleksandra Pavlenko. The company now finds itself among the national leaders of the legal business. In December 2014 the team launched a major rebranding campaign. The team of attorneys at Pavlenko Legal Group implements a new approach to delivery of services, offering not only legal support, but also generation of personalized, non-standard solutions, based on objective information — the legal picture, situation on the market and political background. The company specializes in providing the following services — government relations (GR), legislative work in various spheres, judicial protection, asset protection from hostile takeovers, corporate law, taxes and financial planning. Company founder Oleksandra Pavlenko is an attorney practicing in the field of government relations (GR) since 2000, who interacts constantly with the state authorities with respect to implementation of new regulations, changes to legislation, advise to Government bodies on various legal issues, also implementing business projects with a public component. Pavlenko Legal Group team members are active participants of professional legal community, members of business associations, such as EBA ACC, CCA and IBA, participants of Government and departmental working groups on various legislation issues. The appointment of Oleksandra Pavlenko in 2014 to the Cabinet of Ministers to work in the health care field was special recognition of her professionalism and achievements. Expert legal assessment provided by the company’s attorneys is highly demanded by leading Ukrainian legal and business publications. Team members are ranked in various national and international ratings. 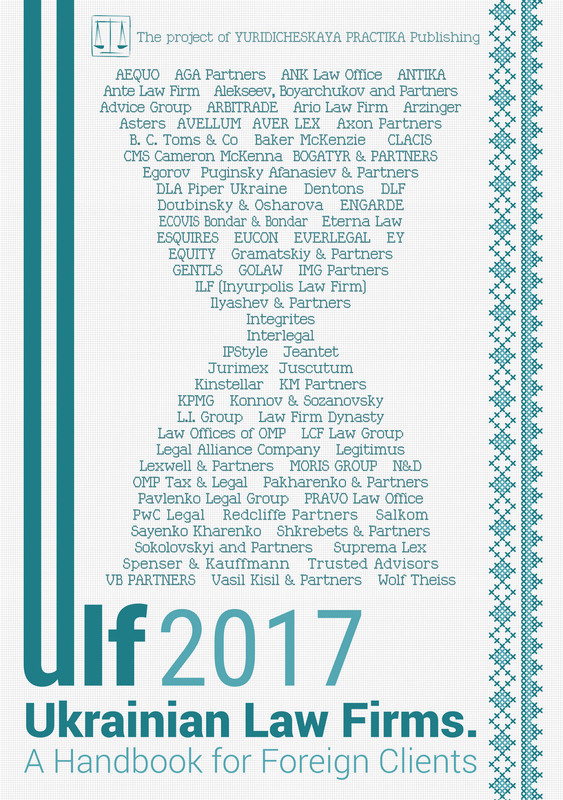 The company is recognized as being among the Top 50 law firms of Ukraine. The company’s overall success consists of the personal achievements of our attorneys and lawyers. Each of them is not only a competent and experienced specialist in one or more areas of law, but also a full member of the team, working together to solve complex issues. Our internal task is synergy for the result. We assist to take on the challenge. Immersion. Lobbying: How does It Really Work? In recent years, more and more calls to regulate the activities of lobbyists have been heard more often in Ukraine. I must admit that we worked hard to give this topic totally different coverage in Ukraine, for it to be more positive and real. The post-Soviet world has got used to living with slogans and evaluations of form, but not its essence, as well as to attaching labels, reading only the headings and the terms. This is how the fate of comprehension of “lobbying” looks like in Ukraine. We got used to hearing about business interests in the Government and corruption, about the use of hidden mechanisms of influence and, in fact, the eventual publishing of national decisions, adopted with a bias towards merely certain interests. However, we cannot live behind a closed curtain and continue echoing the same, when the world is developing and going forward for the benefit of countries, their citizens and business as a driving force of the economy. At the end of 2016, for the first time ever a draft law was registered in Ukraine aimed at regulating the activities of interest groups and lobbyists. As of now a total of three draft laws have been submitted. One of our most important achievements is the open dialog that takes place between the business environment, community and politicians. We, the experts working in the field of government relations in Ukraine for over 10 years, would like to draw attention to European and world practice, which enables the choosing of a single approach to development of civilized legitimate lobbying in Ukraine. We often hear that European countries have chosen different approaches to the issue of lobbying legalization. Each country independently decided, “whether its community is ready to the adoption of law” and “what consequences may the state corpus have as a result of lobbying legalization”. In any event, it is more appropriate to set the tone for the rules than to name any action as corrupt and not to hold anyone liable for any of the episodes. Is it complicated because distinguishing real corruption from civilized lobbying requires clear criteria? And who better than the state is able to answer the question: what are these criteria? Yes, probably each country decides independently on which lobbying strategy to choose, but this will not stop the processes, occurring in the world, whether or not we want this. Ukraine has every chance, being in the period of building its nationhood again, to follow the path chosen by European institutions. Today, business groups are acting agressively and against the rules, but such behavior is possible only when one does not want to establish or play the rules. In the meantime an expert group in GR sphere is actively consulting the executive bodies regarding the implementation of individual reforms; it is creating working groups in the ministries for improvement of legislation for businesses; it is moderating such groups, supporting and “hosting” communication with business in the interests of ministries. During the period of reform, it is not possible to implement changes without such support. Many people have started to realize that communication between the state and the business is not a drawback. On the contrary, such communication helps the Government not to lose the sense of reality and enables it to understand the reaction regarding particular draft changes before their publishing. Each state official or politician is a servant not only to the population that elected him, but a representative of business interests in the Government corpus. The ability to alter state and business interests is the task and the obligation of the country’s administrative corpus. Now, during these turbulent times (both political and economic), it could not be denied that only support to business may increase the country’s indicators and raise it to another level. With such an approach, the instruments of civilized lobbying are a chance to hear the business sector with its problems and needs. We are undergoing a period of transition from fiscal and punitive state policy to supporting policy. A gap in dialog between the business and the state is no longer possible. — “… society members are fully entitled to self-organizing and lobbying their interests”. — “…unregulated hidden lobbying may undermine democratic principles and proper government in those countries where democratic traditions are not yet rooted, and where there is the danger of absence of an effective system of checks and balances by civil society”. Generally, it is our case. How are we going to reslove the problem? Do we really think that anti-corruption laws and law-enforcement bodies will provide a proper reaction? Over several recent sessions of the Ukrainian Parliament, MPs who believe that the legislative body should work exactly in this way — to collect ideas from “clients” behind doors, consign populism to them and move them forward through voting, are regularly elected. Nobody creates the rules within Parliament. In its current edition, the Law On the Rules of Procedure of the Verkhovna Rada of Ukraine does not, unfortunately, answer these questions. 6) substantial, transparent, and fair lobbying should be supported in a way to improve the public image of persons involved in these activities. What could Lobbying bring the Country, Business and Politicians? The main component of the benefit list is improving the quality of draft laws and adopted laws. Being obliged to conduct consultations with lobbyists’ expert groups, registered with Parliament, a Member of Parliament cannot ignore professional recommendations, provided by the experts of the core market, as often happens in Ukraine. When opening the adopted law, business rather often wonders to itself “who advised the Government?” As a rule, broad mandatory consultations are never held. The draft law arrives on the desk of parliamentarians after going only through the hands of the MP who initiated the draft. The low level of professional education of our MPs does not allow assessment of the quality of the potential impact of such a draft on the operation of the general market. The norms that oblige parliamentarians to take into consideration the expertise of a core market, a professional association or an expert group, who act as the lobbyists of the market, is one of the serious chances to leave stupidity behind the doors, not allowing it to be voted, or on the contrary, enabling light to be shed on really qualitative provisions. Publishing all the opinions provided by lobbyist groups on the official website of the Verkhovna Rada would enable the initiative of a particular MP and his/her open counteraction with the market to be openly observed. Cooperation for the sake of development should be established. European business has had an explicit impact on qualitative regulation through civilized lobbying. The European Parliament has become the first European institution to regulate the activities of lobbyists within its walls. The register of lobbyists has been created and the Code of Ethics has been adopted. In addition, opening by the European Commission of the first register of European lobbyists in 2008 became an important step towards standardization of such activities in Europe. Over the last 8 years, it has strengthened the culture of dialog between business and the Government, heightened the value of consultations between European parliamentarians and the market, increased transparency and finally improved the negative opinion of the community about lobbyists. Moreover, it is worth noting that high-quality services in the GR field include not only interaction with officials, deciding on adoption of a particular legal act, but largely on the strategy with the use of legal component, information policy, public opinion and the work of expert groups. It is essential to step forward and understand that only through regulation of the rules for civilized lobbying and making most processes associated with establishing dialog between business and Government transparent, will we finally separate corruption and clearly understand that business is mostly ready to work openly with Parliament and the Cabinet of Ministers for the benefit of economic development. There is a long-standing market and GR experts are in demand, whether we like it or not.